A look at the shopping-mall car chase from The Blues Brothers, including some of the recent history of the Dixie Square Shopping Mall. "Dixie Square Mall." Wikipedia, The Free Encyclopedia. 17 Oct 2008, 23:47 UTC. 19 Oct 2008 <http://en.wikipedia.org/w/index.php?title=Dixie_Square_Mall&oldid=245999641>. 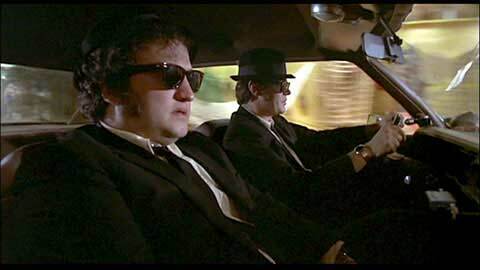 The Stories Behind the Making of the Blues Brothers. Dir. Joseph "J.M." Kenny. 1998. DVD. Universal, 1998.